We can Remove your Bees & Seal all Entry points. We can Catch and Remove Armadillos & Repair the holes they made in your Yard. Protect your Family & Pets, No need to take Chances. We can find out how Rats are getting into your Home, and Stop them. We get them out & keep them out with a Five year Guarantee on alll Work performed. When it comes to Skunks.....let us do the Dirty work for you. Not all Noise in the Walls are Rats or Squirrels. We always take the Feral Cats we catch to No Kill Shelters. is a full-service wildlife control company serving Brevard and Indian River and the surrounding area. We specialize in urban and suburban wildlife damage management for both residential and commercial customers. We handle nearly all aspects of Animal control, and resolve conflicts between people and wildlife in a humane and professional manner. For Brevard and Indian River Animal control of wildlife, just give us a call at 321-652-7238 and we will discuss your Animal Control problem and schedule an appointment to solve it. All animals are trapped and removed in a humane manner, which is what you should expect from a reputable and humane wildlife removal service. The most common wildlife removal. and animal trapping services needed are the removal of bats, removal of birds,raccoons,armadillos, removal of squirrels, removal of snakes, and geese which we expertly and professionally perform in a timely and quality manner. Whatever your needs, Florida Nuisance Trappers will consult with you and provide solutions to remove any wildlife or nuisance animal, repair the damage they may have caused, and take steps to prevent the wildlife from returning and reentering your home or property. *Please call your local County animal control officer for help with Domestic Animals (Dogs) issues you may have. We do Not take Dog calls. Florida Nuisance Trappers offers a Five or one year Warranty on all Seal-ups (Animal Proofing) Performed! Nuisance wildlife is wildlife that... 1) causes (or is about to cause) property damage, 2) presents a threat to public safety, or 3) causes an annoyance within, under or upon a building. How do we share your information? We at Florida Nuisance Trappers will never misuse or sell your information. Bats, Beavers, Birds, Bobcats, Chipmunks, Coyotes, Flying Squirrels, Foxes, Ground Hogs, Moles, Opossums, Raccoons,Snakes, Squirrels, Armadillos, Skunks, Stray Animals, Etc. All too often, wild animals adapt to urban sprawling and find it easier to move in with humans, rather than move out of an area. We at Florida Nuisance Trappers can remedy this situation utilizing the safest, most effective, and most humane methods of capture, removal, abatement, and / or exclusion. we at Florida Nuisance Trappers Guarantee all work performed! NO extra charge for off hour calls, Florida Nuisance Trappers provides a 24/7 service. No job is to big or small we can handle them all. There are many wild animals native to the United States that people likely encounter on a near-daily basis, sometimes without even realizing it. These common backyard creatures have found ways to co-exist with humans, which unfortunately can lead them to become nuisance pests and even occasional health threats. Though these wild animals may not always be a welcome sight for homeowners, they do have some interesting characteristics! Squirrel varieties can be found in every region of the United States. A group of squirrels is called a scurry. Squirrels are extremely territorial and will even fight to the death to defend their area. Mother squirrels are especially vicious when protecting their babies. Squirrels frequently enter attics and chimneys in the winter. To keep them out, seal all possible points of entry around the house, screen vents and openings to chimneys and keep tree limbs cut back six to eight feet from the roofline. Raccoons will eat almost anything. Raccoons are omnivores and will eat just about anything, including fish, mice, insects, stolen eggs and human trash. Raccoons also sometimes "wash" their food by rapidly dunking it in water before eating. Their adaptable eating habits have allowed them to make themselves at home in many environments, from forests and marshes to cities and the suburbs. Homeowners should be sure to store trash cans and recycling bins in sealed areas or with animal-proof lids to keep raccoons, which are frequent carriers of rabies, off their property. Opossums are the only marsupials found in North America. Female opossums give birth to young as tiny as honey bees that immediately crawl into their mother's pouch where their development continues. Typically, fewer than half of opossum young survive in to adulthood. Opossums are known for "playing dead" when threatened by predators. They will fall onto their sides and lie on the ground, extend their tongues and either close their eyes or stare straight in to space. Do not approach an opossum in this state, as they have sharp teeth and in rare cases may bite if they feel threatened. Opossums have been known to create messy dens in homeowner's attics and garages. Bats are often protected by law. Bats are protected by law in most states, so it is important to check with animal control or wildlife services for any regulations before bat-proofing your home. The best time to bat-proof is the beginning of autumn, when bats leave for hibernation. Bats can pose serious health threats to humans if they are not removed from structures; bat droppings can harbor a fungus that causes lung disease. Voles are small, but mighty. Voles, also known as meadow mice or field mice, are a type of rodent that can be found in most regions of the United States. They are active year-round, and do not hibernate. Their populations tend to fluctuate and are dependent on factors such as food quality, climate and physiological stress. Voles construct many tunnels with various burrow entrances and can cause extensive damage to orchards, young trees and field crops. They're even capable of ruining lawns and golf courses with their extensive tunnel systems. Groundhogs: are among the few mammals that enter into true hibernation, which generally starts in late fall near the end of October and continues until late February. These rodents will gorge themselves all summer to build up their fat reserves. After the first frost, they enter their underground burrows and hibernate until spring, where they survive off of their accumulated body fat. During hibernation, the groundhog's heart rate plunges and its body temperature will not be much higher than that inside the burrow. To keep groundhogs out of crawlspaces, it is important to inspect homes for access points, such as broken vent covers or holes in the foundation. Burrowing groundhogs have been known to destroy building foundations. These odd-looking mammals are about the size of a cat. Most active at night, these creatures have poor eyesight. Armadillos are diggers and can damage lawns and flowerbeds in their search for grubs, a primary food source. To reduce armadillos in your yard, keep watering and fertilization to a minimum. Armadillos have the ability to carry the bacterium that causes leprosy in humans (Mycobacterium leprae). However the risk of contracting leprosy from an armadillo is extremely low. Scientists believe that in order to contract leprosy from an armadillo, one must handle armadillos frequently and/or consume armadillo meat. 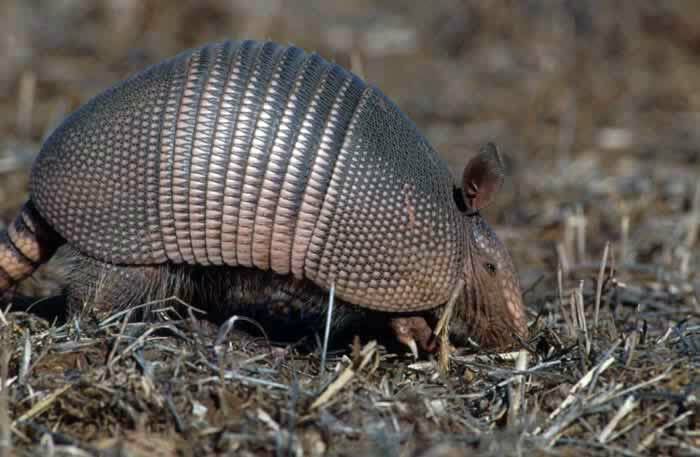 Most armadillo damage comes about as a result of their digging habits, taking the forms of holes and burrows. burrow entrances, about 7-10" in diameter, next to or underneath structures, sidewalks, brush piles, low-lying shrubs, etc. Store trash cans and recycling bins indoors, or in sealed areas such as a locked shed or outhouse. If trash cans are kept outdoors, use animal-proof lids. Remove other obvious sources of food and shelter from your property. Inspect the outside of your home for holes or access points, such as broken vent covers. Repair any loose siding or shingles. Install a mesh cover or cap over chimneys and other exposed openings to prevent entry. Traps are available for purchase. They will be the appropriate trap for the animal to be caught. If you wish, they can be delivered and set up for a charge. You will be responsible for arrangements for disposal or just us! Serving all of Brevard and Indian river since 2010 No Animals are ever hurt or harmed. Florida Nuisance Trappers is locally and family owned and has been serving the Brevard and Indian River area since 2010. are job is to make you safe in and around your home and property using safe and humane methods. Call for all of your Animal Control & Bee removal needs today with always a same day service 24/7. Florida Nuisance Trappers will come to your home or business, inspect the property, determine what type of nuisance animal is causing your problems and take the steps necessary to provide the full animal control service and/or animal trapping method needed to keep your home, family and property safe. When the wildlife has invaded your home - in addition to the wildlife trapping and animal removal services we offer - Florida nuisance trappers can provide animal proofing and exclusion services as well as attic restoration if needed. Animal Control & Wildlife Removal in Brevard and Indian River Counties 24/7.